Make a big batch of this cereal on the weekend and reheat all week. Top with fruit or yogurt to add natural sweetness. Each Thursday, one of the more than 100 video recipes from the Mayo Clinic Healthy Living Program is featured on the Mayo Clinic News Network — just in time for you to try over the weekend. You also can have the recipes delivered via the Mayo Clinic App. 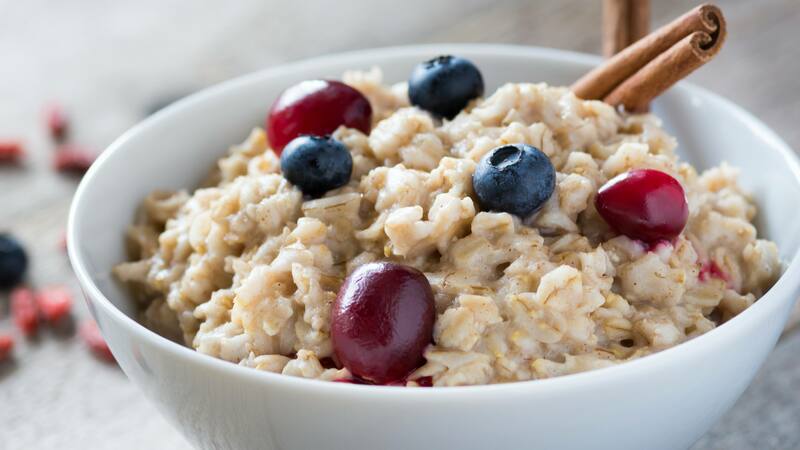 Watch: Making six grain hot cereal. In a large saucepan, combine the barley, wheat berries, rice, oats, quinoa, flaxseed and salt. Pour water over ingredients, stir and bring to a boil over medium heat. Reduce heat to low and simmer for 45 minutes, stirring occasionally. Nutritional information per ½ cup: 114 calories; 1 g total fat; 0 g saturated fat; 0 g transfat; 0 g monounsaturated fat; 0 mg cholesterol; 74 mg sodium; 21 g total carbohydrate; 3 g dietary fiber; 0 g total sugars; 4 g protein.